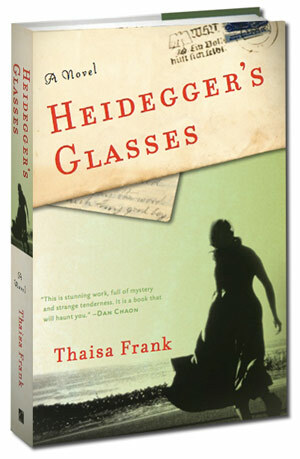 Thaisa is happy to talk to your book group in the Bay Area, San Francisco or the Peninsula. 2. What do you think motivated Elie? On the one hand she is emotionally available to her lover, Gerhardt Lodenstein. On the other hand, she is secretive about her missions. How much of her secretiveness can be attributed to the danger of Resistance? How much has to do with something fundamental in her character? 3. Like Elie, her lover Gerhardt Lodenstein also has to keep secrets about dangerous missions. Do you think he keeps secrets for the same reasons Elie does? 4. Asher Englehardt is the only character who experiences the war from the perspective of a prisoner in Auschwitz. How, if at all, did he attempt to make peace with his circumstances? 5. All the characters in the book are seen through the lens of WWII. How do you imagine them during a time of peace? 6. Playing cards and the game of solitaire both have a large role in the book. What do you think it symbolizes? 7. We notice the white velvet roses, the dark red notebook, Elie's red ribbon around her wrist, and the changes in the snow at Auschwitz. What effect does this use of color have on the story? 8. At times during the book each of the three main characters feels an inner sense of duality: Elie's speaks about the sense of being split into two people. Her lover, Gerhardt Lodenstein, has an uncanny experience of himself in his cell in Berlin. Asher Englehardt thinks of himself as having lived two lives--one before and one during the war. Is this sense of duality something people experience in times of great peril? Or is it a larger comment upon human nature? 9. Many of the characters are aware on the absurdity of their tasks, whether it is the act of record keeping or writing letters to the dead. How does this sense of the absurd contribute to the feeling and atmosphere of the novel? How does the author use absurdity to contrast with horrible realities of war? 10. Describe a specific instance of violence: A man is killed in the story during a one-on-one confrontation. How does this violence change our feelings about the character who does the killing? 11. Elie decides that she will use whatever means available to rescue at least one person--a child--from a concentration camp. If she needs to lie and steal in order to save a child, can we still think of her as a heroine? 12. A sense of architecture and space is very important to the book. How do the different settings contribute to the narrative and the feelings they invoke in both the characters and the reader? 13. Discuss the presence of children in the narrative. How important are they to the story? 14. The novel is set in Germany a year after the battle of Stalingrad, a conflict that saw Germany suffer great losses. The reader knows that the war is nearly over, and that the Germans will lose--but of course most of the characters don't know this. How does this affect how we feel about the characters, and are there ways it makes the story more suspenseful. 15. Heidegger's philosophy is woven through the book. Things don't appear as they seem; people "fall out of the world." How does this help tell the story and how does it influence your perception of the characters and their actions? 16. The Scribes are writing a book in Dreamatoria, a language they have invented. Does this have significance in the book? What does Dreamatoria mean to you?